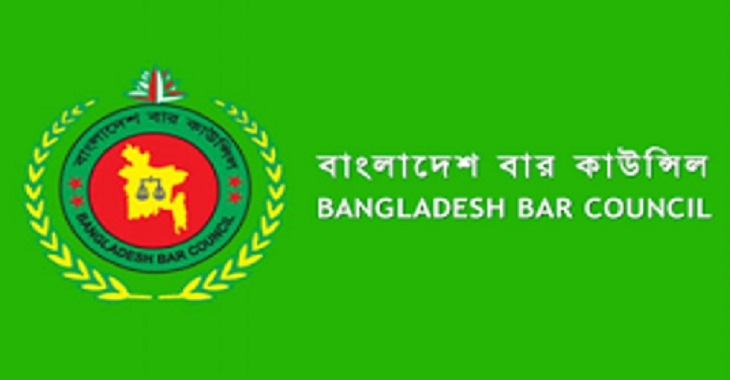 The ruling Awami League-backed lawyers' panel Sammilito Ainjibi Samannoy Parishad swept the election to the Bangladesh Bar Council after three years, official election results said on Saturday, reports UNB. Attorney General Mahbubey Alam, chairman of the bar council, announced the official results of the election at night around 9 pm. Sammilita Ainjibi Somonnoy Parishad, the AL-backed lawyers' panel, bagged 12 out of the total 14 posts, while the pro-BNP lawyers' panel won the remaining two posts. AL-backed Panel leader Abdul Baset Majumdar got the highest votes in general posts like previous year. This very popular leader of law has got 16,306 votes. Besides, Chairman of Bar Council Finance Committee and Awami League Law Secretary Senior Advocate Sham Rezaul Karim got the second highest vote. He got total 14,664 votes. HAM Zahirul Islam Khan (ZI Khan Panna) got the third highest vote from the same panel. He got total 14,497 votes. Syed Rezaur Rahman got 14,184 votes, Yusuf Hossain Humayun got 14,098, Mohammad Mokhlesur Rahman Badal got 13, 288 votes. The candidates of BNP-backed Panel, Former Attorney General AJ Mohammad Ali have the general post only. He got a total of 13,712 votes. Md. Delwar Hossain Chowdhury from Noakhali got 1930 votes.